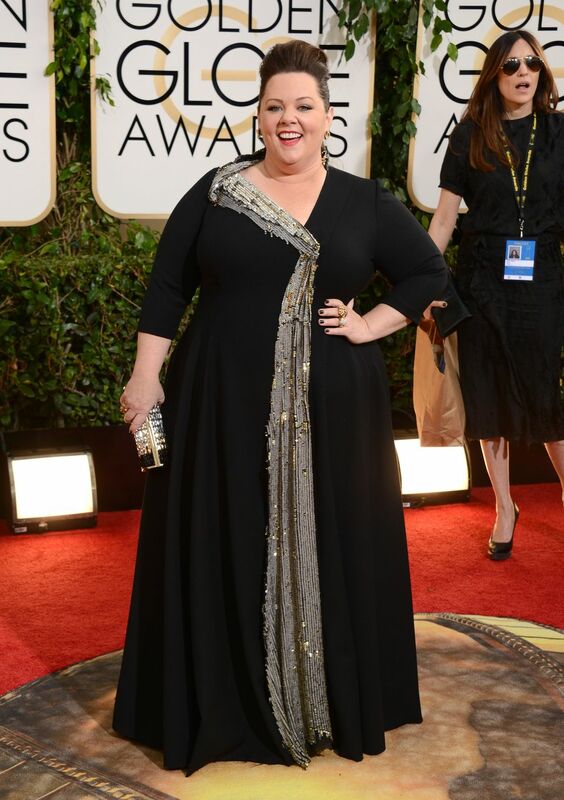 I thought Melissa McCarthy looked fab in her – apparently self-designed – dress at the Golden Globes last night. Always tricky for plus-sizes who are so cruelly scrutinised at such events, she managed both glamourous and comfortable, in my opinion. Slightly sad that Chewetel Ejiofor didn’t win Best Actor as I’d been blown away by his performance in 12 Years A Slave that same day but maybe he’ll have better luck at The Oscars in a few weeks.